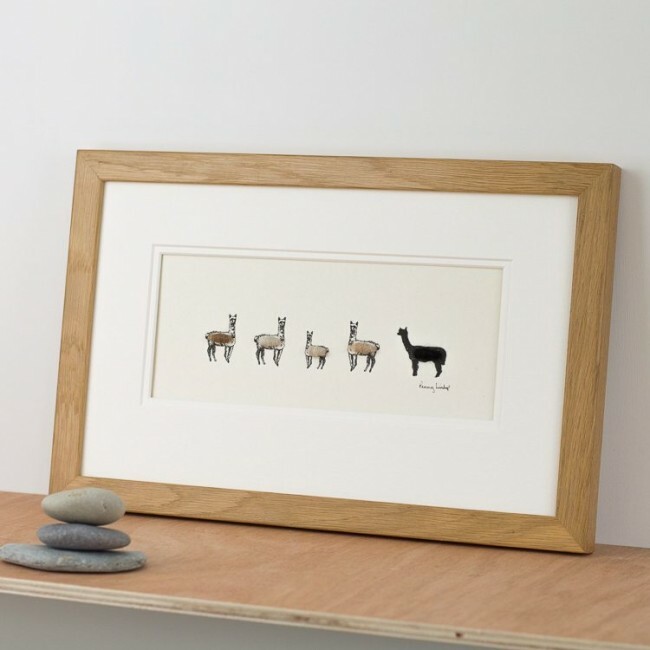 Alpaca print, 5 in a row is a delightful gift for an animal lover. 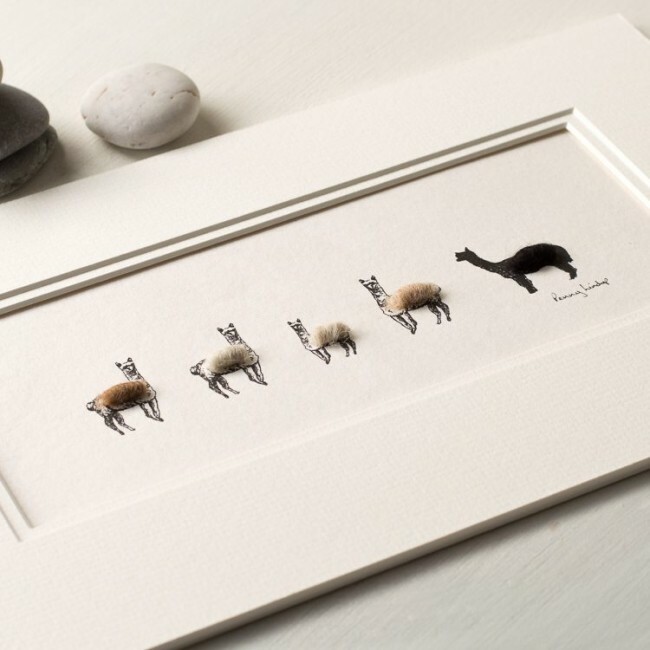 Alpacas are such gentle animals; who couldn't fall in love with them! We print on a acid free archival quality paper made in the UK. Mounted picture size is 330 x 202mm, or 13 x 8inches. This is the inside frame measurement and is not a standard frame size. But don't worry as we are happy to frame the print for you in either our natural oak frame or our charcoal grey stained ash. Both these mouldings have a simple plain profile and will enhance the artwork. 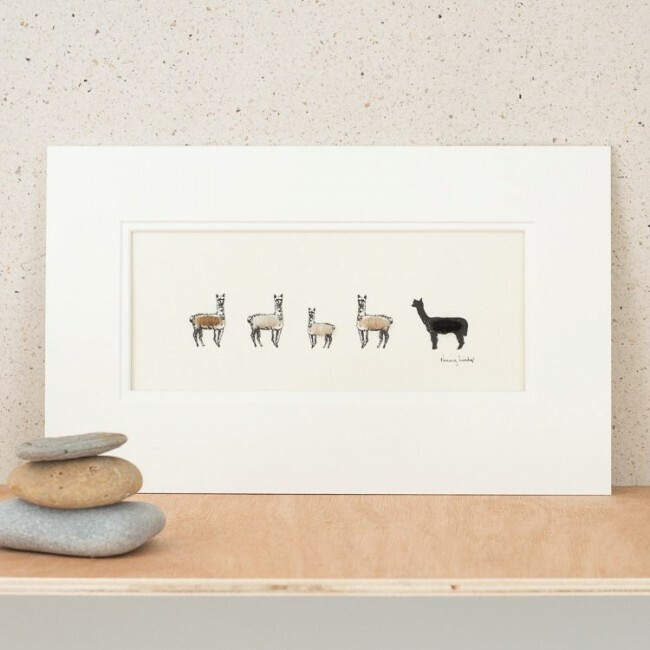 We are happy to add a personalisation to this print for you, making a truly gift. 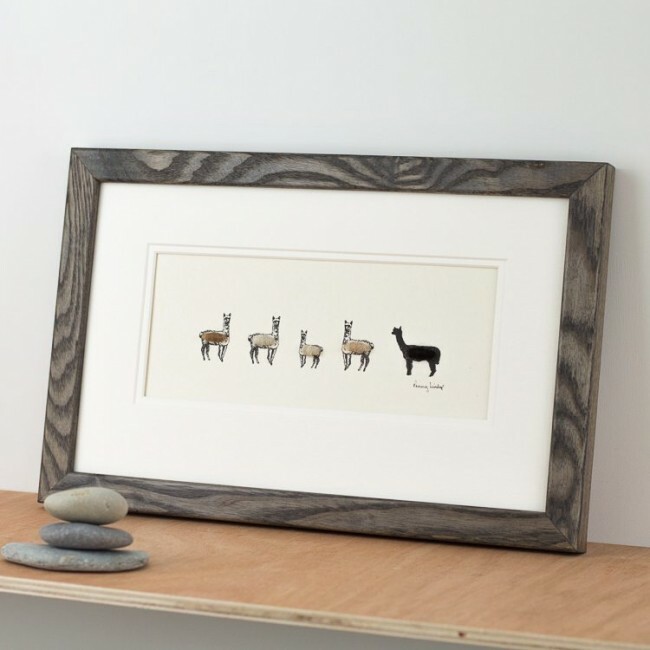 The wording is hand wrtten in pencil on the print beneath the animals.